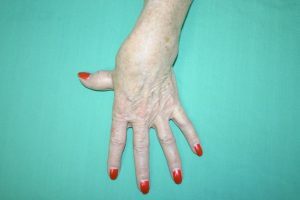 There are many different ways of suffering from arthritis – you might have osteoarthritis and suffer chronic pain and stiffness or you may have rheumatoid arthritis and be faced with sudden and severe flare-ups of your condition. Hypnotherapy cannot cure arthritis. Whatever the cause or type of your arthritis. If you suffer from arthritis, you’ll be familiar with the pain that may prevent you living a full and active life and sometimes you may experience real lows emotionally and physically, it is this which hypnotherapy can help you with. Has your arthritis held you back from doing things you would enjoy? It might seem obvious that when we have a condition like arthritis that we can’t do the same things we used to do with the same enjoyment. If you suffer osteoarthritis you would have been encouraged to continue gentle exercise because once you loosen up your stiff joints, you will find that the pain decreases. There is plenty of advice about learning to live with arthritis, but the main problem for people is in the management of the pain they feel. – Deep, slow breathing in for a count of 7 and out for a count of 11. – Visualise breathing healing into the pain and breathing the pain out of the body. But what if it is too difficult on your own? And you really need to relax deeply and beneficially to help your body heal. There is something that can help you to relax deeply and be able to deliver the healing benefits of true relaxation to the parts of your body that need it. Hypnotherapy uses guided visualization to guide you to a level of deep relaxation, you will be able to take control of your pain rather than allowing it to take control of you. The intensity of the discomfort you were in, any feelings of nausea or bone-tiredness will have less of your focus. Hypnotherapy can help you deal with these feelings in a way you are comfortable with. Hypnotherapy guides your mind and encourages it to adopt a more resourceful beneficial way of dealing with pain and the fear of pain that you currently experience in your daily life with arthritis. Hypnotherapy helps you to find a place deep inside your mind where you are calm, relaxed and capable of many things, tapping into inner resources and healing abilities, engaging your body and mind. Learn more about the benefits of Hypnotherapy. You’ll retrain your mind to respond differently to the sensations which currently make you fearful and experience as painful. As your mind responds differently so will your body. No more fear of pain or nausea caused by pain. You’ll learn to be focused in the moment as you manage the fearful episodes as they occur.